Shark attack victim and famous surfer Bethany Hamilton says “If you care about the ocean, you care about sharks.” The Great White Shark is an amazing animal that is living in the Great Barrier Reef in Australia. This awesome creature has a stunningly big body structure and appearance, a very fascinating habitat, and a unique diet for a shark. The diet of this beast is extraordinary to find out about. The great white is a carnivore and it only eats meat. The diet of this critter has animals like small toothed whales, sea lions, sea turtles, seabirds, and carrion. Carrion is the remains of dead animals. However if it wants to get living prey such as sea turtles, sea lions, etc. it has to trick the prey. 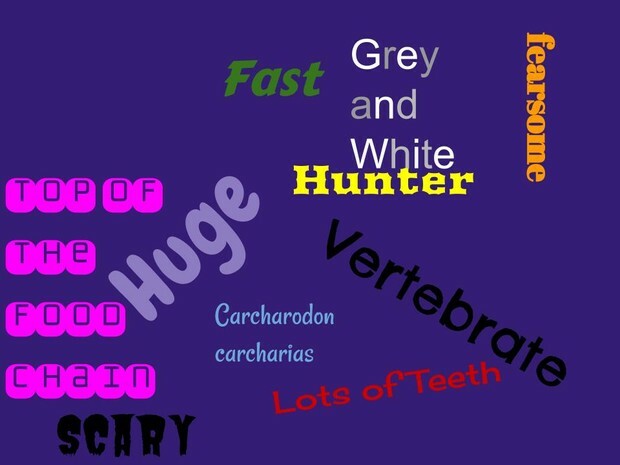 Since the Great white has a grey top it can lay down on the floor and camouflage into the floor and the other animals will think that it is just the seafloor. Did you know that if a shark attacks a human in the ocean it isn’t actually attacking the human it is test biting to see if the humans taste good. This wonderful creature of the deep has a captivating habitat that it lives in. In the Great Barrier Reef you can usually find this sea creature in cold waters. Imagine yourself as a Great white swimming through the ocean. You see a sea turtle and chase it. Then. CRUNCH! You hear the sea turtle's shell crack and break in your mouth. Great white sharks are becoming extremely rare to find. This is happening because they are being hunted for fins and they are being accidentally caught in fishnets. 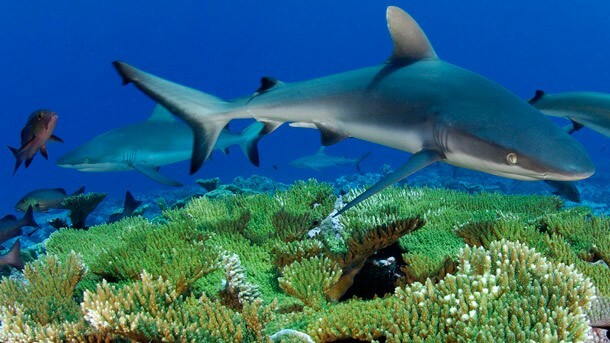 However, people can find Great White in places other than the Great barrier Reef such as mexico, China, etc. The body structure and appearance of this grey monster is very electrifying to learn about. This animal has a massive body weight that can grow up to 5,000 lbs! When it is an adult it can have a length ranging from 15-20 feet long. The tail can propel through the waters up to 15 mph alone. 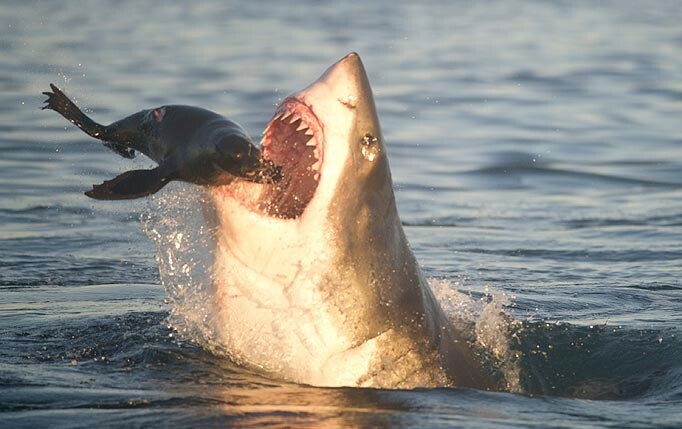 If you look inside of a great white sharks mouth you are looking at about 300 sharp triangular teeth The great whites jaw is strong enough to chomp through an adult sea turtles shell. Regardless, the Great White Shark is an intriguing animal to learn about. It has a skillful way of getting food, a colossal body structure an appearance, and a delightful habitat that it is lucky to live in. Therefore, if you go to visit the Great Barrier Reef you should definitely look for this sea creature. In math class I made a go fish activity. In my go fish activity I got 6 fish in my 20 gallon tank. The types of fish I used were green mandarin, African cichlid, ghost shrimp, upside down catfish, cory catfish, otocinclus, and a black variatas. I spent 210 dollars on fish and on tank decor. I got a 20 gallon fish tank and used 18 gallons of the water. I only used saltwater and tropical fish in my tank.